HÀ NỘI — Global ratings agency Standard & Poor’s has upgraded the long-term issuer credit rating of the Joint Stock Commercial Bank for Investment and Development of Vietnam (BIDV) by one notch from B+ to BB- and kept the outlook “stable”. It said the rating action follows its upgrade of Việt Nam's sovereign credit rating to 'BB/B' from 'BB-/B', reflecting BIDV's high systemic importance to the country’s banking system. 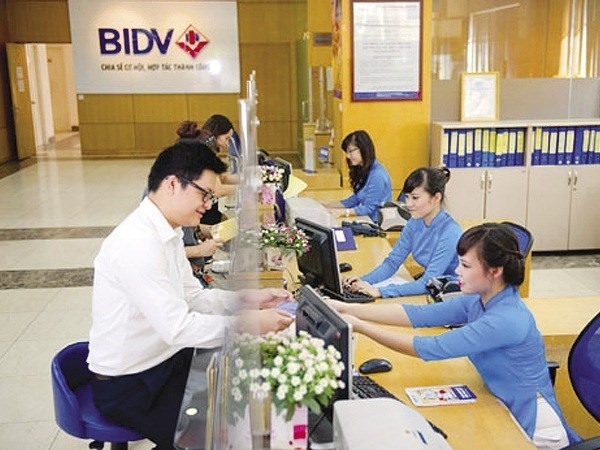 BIDV is the largest bank by total assets in Việt Nam with a dominant market share of 14 per cent of loans and 13 per cent of deposits.